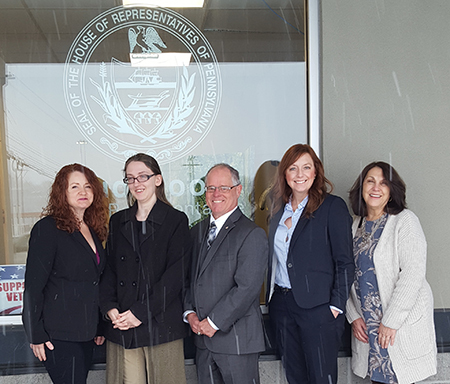 I am pleased to announce the hiring of Rachel Willson (pictured fourth from left) who is now serving as office manager and outreach specialist at our Bentleyville district office. A life-long resident of the Mon Valley, Rachel was most recently employed as the first Thrift Store Manager at the Greater Washington County Food Bank where she successfully raised more than $100,000 in proceeds benefiting the food bank in only six months. In addition, Rachel has extensive professional, administrative, public relations, marketing, sales, social media and management experience. Rachel’s professional experience and her vast knowledge of our entire region will be a tremendous asset to our team and the citizens of Fayette and Washington counties. The people of the 49th District should know that we are here to do everything we possibly can to meet and exceed your expectations both at home and in Harrisburg. 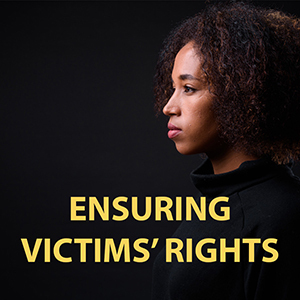 Most importantly, we are here to listen and serve you. Available services include assisting District 49 residents with PennDOT paperwork, driver’s license and vehicle registration applications and renewals; information and applications for senior citizen benefit programs, including Property Tax/Rent Rebate and PACE/PACENET prescription drug programs; securing birth and death certificates (photo identification required); organizing tours of the State Capitol; copies of legislation and many others. 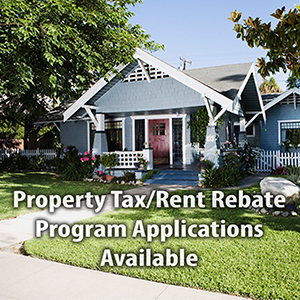 Applications for the Property Tax/Rent Rebate Program are now available at www.RepBudCook.com and at my Bentleyville district office. The program is designed to help eligible Pennsylvanians age 65 and older; widows and widowers age 50 and older; and people with disabilities age 18 and older to receive up to a $650 rebate from the property taxes or rent they paid in 2018.